Cynthia McEwen Design is a full service graphic design and communications service provider. We excel at interpreting the mood and feel of our client’s communications needs, providing branding, print materials, interactive graphics and advertising both on and off the web. Contact us to see samples or discuss your next project. 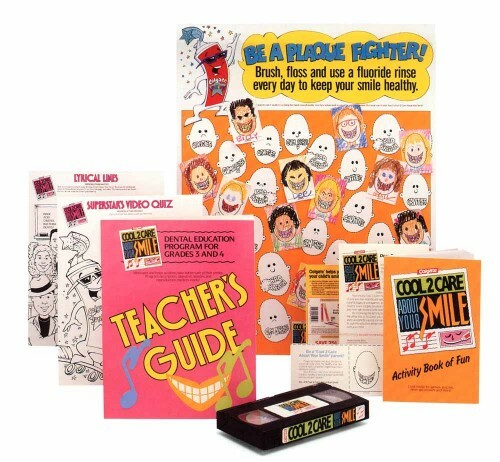 Colgate Dental Health Educational Program for grades 3 & 4. This complete program is provided to schools for dental health education. The materials include classroom video, activity sheets, teacher's guide and take-home materials for kids and their parents. Ad for Colgate Total toothbrushes. 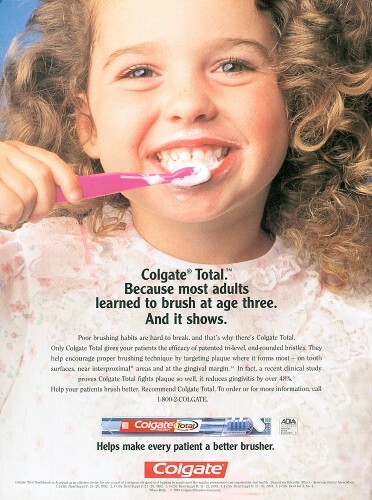 Ad to dental professionals to recommend Colgate Total toothbrushes, designed to compensate for bad brushing habits in adults, learned as a child. 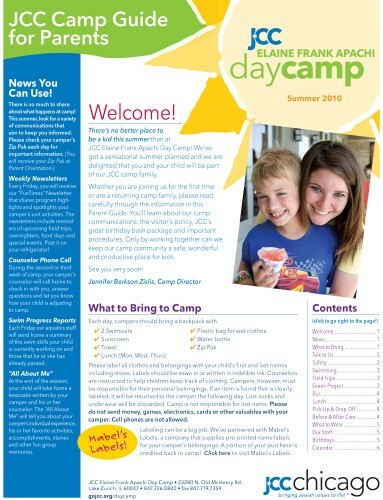 This parent guide is given prior to the day camp session so parent's know what to expect for themselves and their campers. O'Hare International Center includes office and commercial space. The theme line for leasing space is "Across the street from the rest of the world" and the logo was to complement that concept. Pamphlet cover for JCC Women's Auxiliary Endowment Fund. This is a piece designed to supplement the fundraising efforts of the Auxiliary to send children in need to camp. 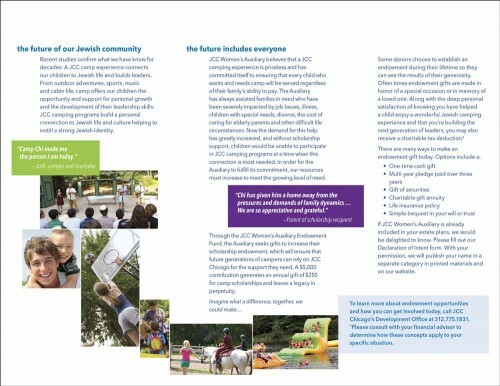 Pamphlet interior for JCC Women's Auxiliary Endowment Fund.